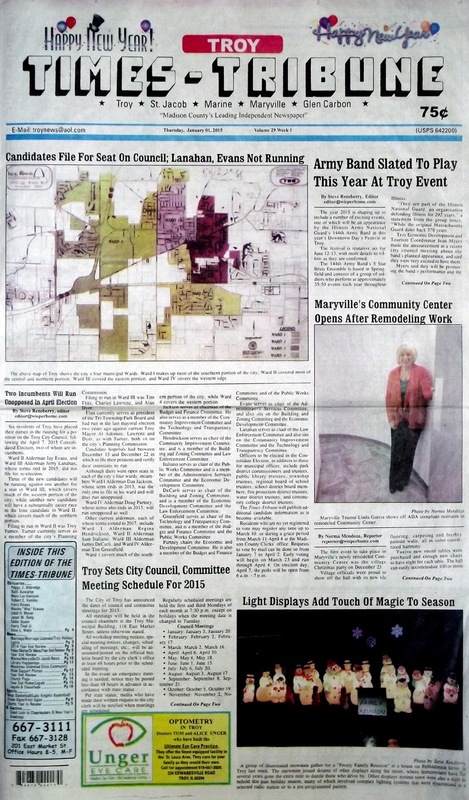 The January 1, 2015 edition of the Troy Times-Tribune is available. Some of the stories in this issue: Army Band's 5 Star Brass Ensemble Slated for Downtown Days Festival, Candidates File for Seat on Troy Council, Maryville's Community Center Opens After Remodeling Work, Troy Sets City Council and Committee Meeting Schedule, Paul Simon Water for the World Act Receives Bipartisan Support. This issue carries our Year in Review highlighting the events of the past year, and a special section wishing the Triad Varsity Cheerleaders Good Luck at State. Plus we have the usual police blotters, community news, our It Happened Here section, and a column from the editor about reflections on 2014. 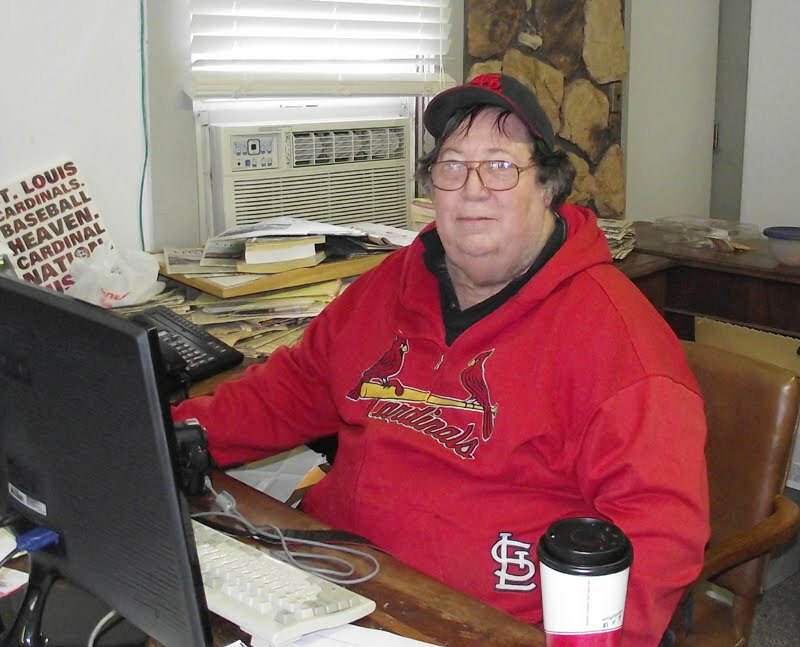 We have obituaries for Peggy J. Alldredge, Ruth Auwater, Mary Lou Harrison, Robert E. Keniley, Kerry Kinsey, Wesley “Wes” Krause, Udell H. Meyer, Janet M. Rehg, Eddie Spann, Harry Thiel Jr., and Alice L. Webb.